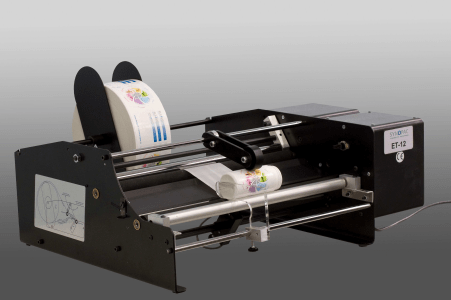 Our range of labelling machines includes laboratory units as well as high speed labellers. Our main objective is to achieve a cost effective but reliable solution with quick change over time. Whatever your labelling requirements are RAUPACK can provide the best solution. 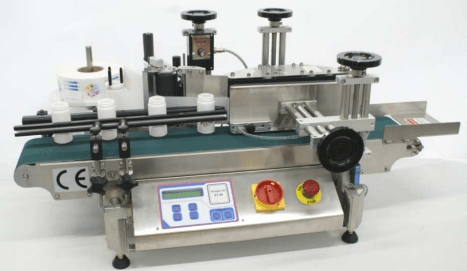 Our semi-automatic laboratory labelling units are suitable for small batches of products and even light weight bottles can be labelled with them. 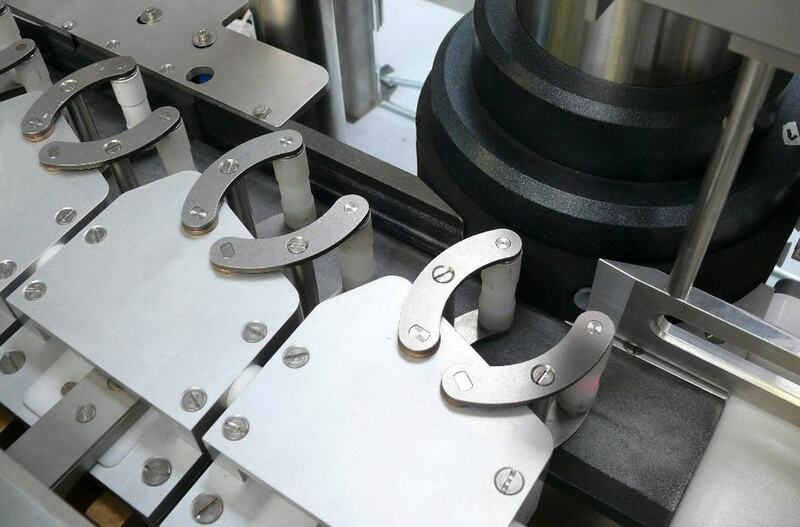 The next step is our laboratory scale automatic labellers which are suitable for round containers as they use a belt for correct alignment during the application of the adhesive labels. Different sizes of belts are available to adapt to the different heights of bottles. 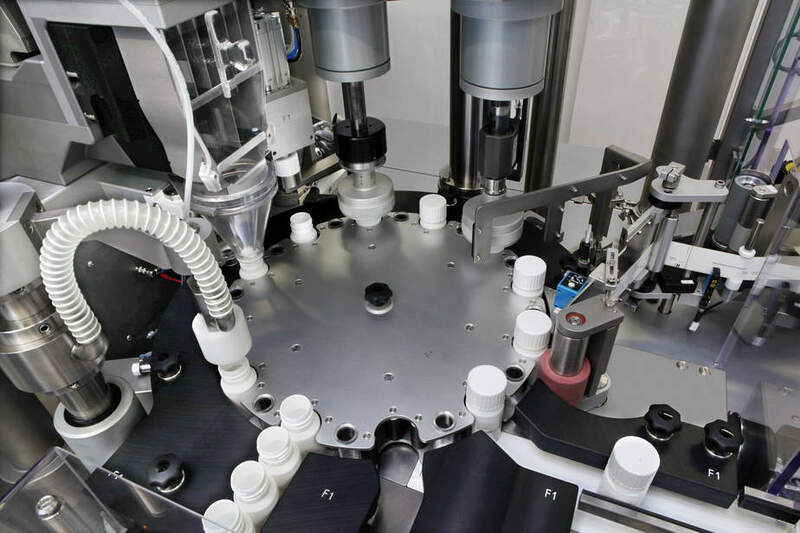 The next step in speed is our 3-sided labeller which is available as a monoblock unit integrated within the same machine frame with another unit on the line, or as standalone equipment. 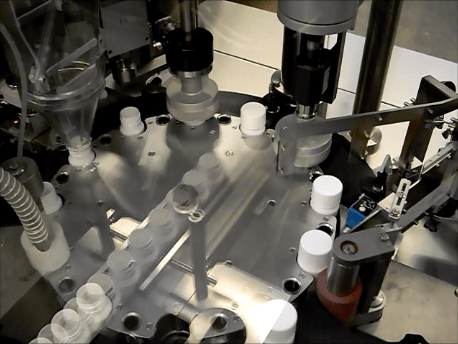 This labeller can handle special shaped bottles at a speed of maximum 120 bottles/min depending on container dimensions. The top of our range of labelling machines is our high speed labeller, capable of handling up to 250 bottles per minute. 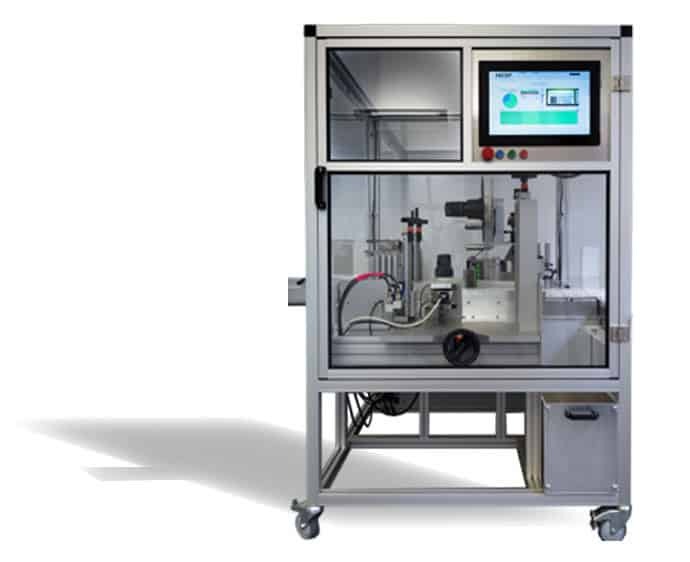 Available with over-capping station which results in an efficient labelling and closing centre. Moreover, our integrated labelling units can be found on our monoblock tablet counting, liquid and powder filling machines.